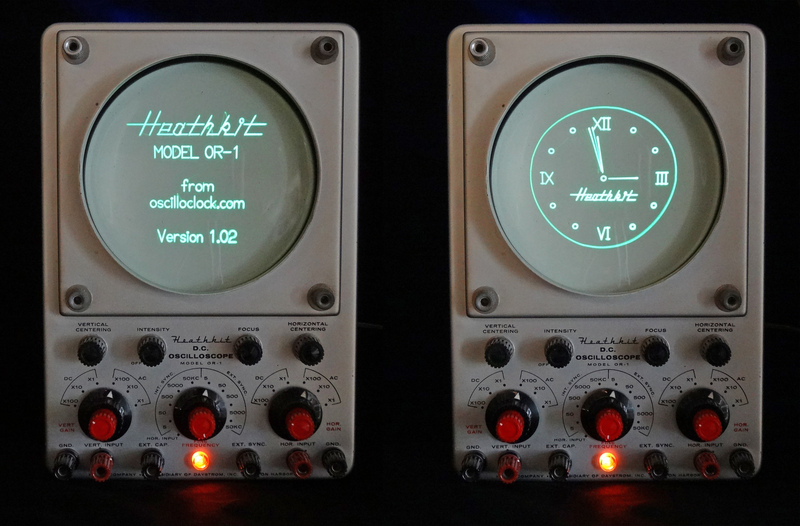 Last month’s post about the Heathkit Oscilloclock generated tremendous interest, and I’ve heard from several folks keen to try their hand at preserving their own beloved instruments. 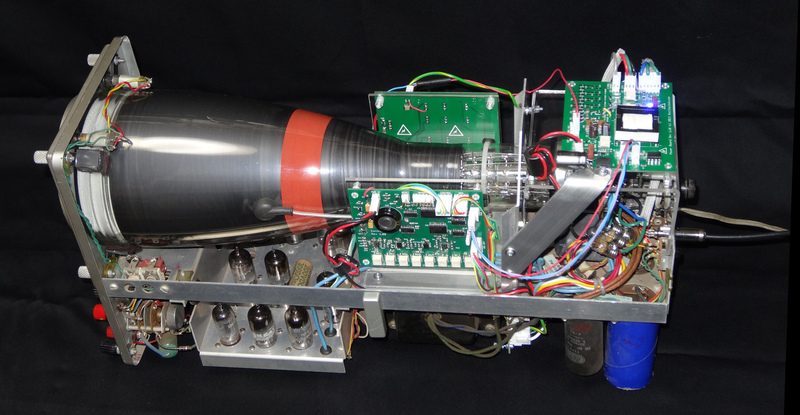 … so let’s take a brief look at what was involved in the Heathkit OR-1 conversion! There are many approaches to retrofitting a scope into an Oscilloclock, but it really boils down to how much of the original circuit you want to re-use, vs. what you will bypass with Oscilloclock boards. From 1947 to 1992, the U.S. based Heath Company produced electronic kits for everything you can imagine: radios, TVs, computers, robots, ham gear, and electronic test equipment. Yes, you guessed it – they also produced kits for oscilloscopes! 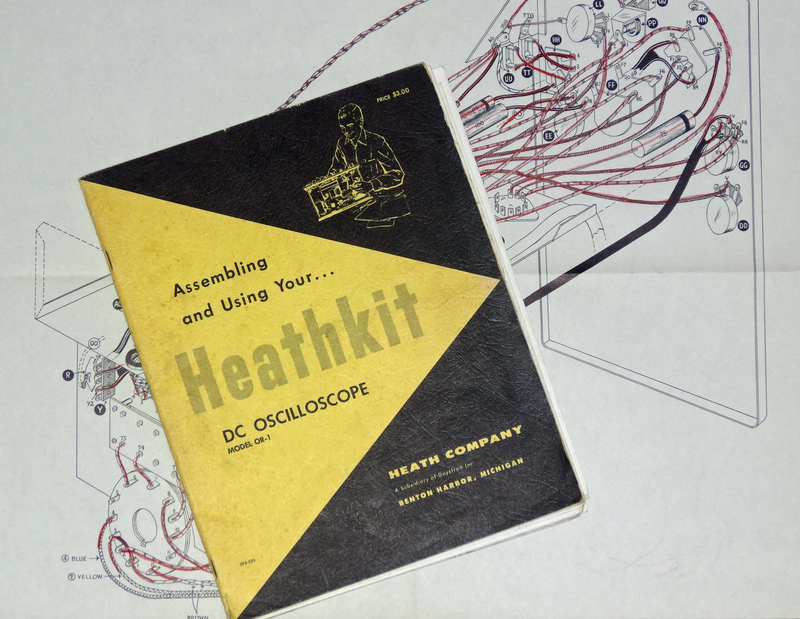 My Grandpa purchased one such scope, the Heathkit OR-1, around 1960. He wanted to kick off a new career in electronics repair, and the ‘build-your-own-equipment’ approach to training was in full bloom at the time. Also, since this was before the era of cheap overseas manufacturing, he could buy a Heathkit far cheaper than an assembled scope. The problem is, I have too many oscilloscopes. But I don’t have enough Oscilloclocks. What more fitting way to keep Grandpa’s legacy alive, than to retrofit his Heathkit? This site is dedicated to showcasing my Scope Clock designs, and to sharing technical information openly to anyone interested in these vintage electronic timepieces. What is an “(Oscillo)scope Clock”? 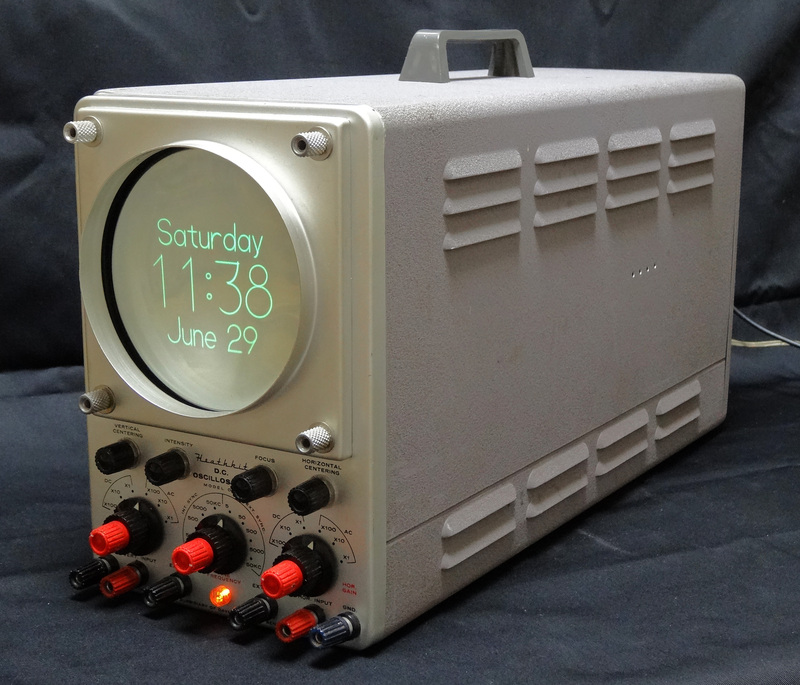 A unique style of clock that displays the time (and other fun things) on a CRT taken from an old oscilloscope. These clocks operate on a fusion of old and new electronics, and are often housed in beautifully crafted cases of wood, metal, or acrylic. War Games on an Oscilloclock!